New York-headquartered startup Skyline AI Ltd. has acquired two residential building complexes in Philadelphia in its first artificial intelligence-based real estate deal, the company announced Monday. The $26 million deal was completed in partnership with an unnamed U.S. partner. In March, Skyline AI announced a $3 million seed round from Sequoia Capital. Founded in 2017, Skyline AI develops a machine learning algorithm that analyzes data from around 130 databases to identify real estate opportunities and calculate an asset's current market value and potential future value. In assessing an asset, the algorithm takes into account various parameters including the condition of the asset, the way it is being managed, the surrounding neighborhood and access to facilities, Guy Zipori, co-founder and CEO of Skyline AI said in a phone interview with Calcalist on Monday. The assets acquired by the company were suggested by the algorithm after it identified they were being mismanaged, and assumed, with relatively high probability, the owner may be willing to sell, the company said in a statement. A human advisory board then approved the algorithm's proposal. The exact financial terms of the deal were not disclosed. Skyline AI and its U.S. partner will both have stakes in the project, Mr. Zipory said. 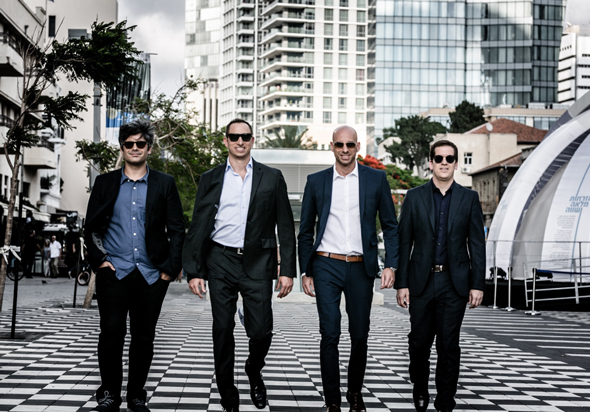 Skyline AI was founded in 2017 by a group of four Israeli entrepreneurs who previously founded video content startup StreamRail Ltd., acquired by mobile and web monetization company IronSource Ltd. in 2016. The company has 20 employees in New York and Tel Aviv.